50% off brochure fares plus included roundtrip airfare from Los Angeles. Big discoveries await you in “Little Tahiti” (Tahiti Iti), the smaller of the two landmasses that comprise the island of Tahiti. No other cruise line offers you the opportunity to explore this region of wild coastline, ancient petroglyphs and marae (temples), and pockets of authentic Polynesian culture. 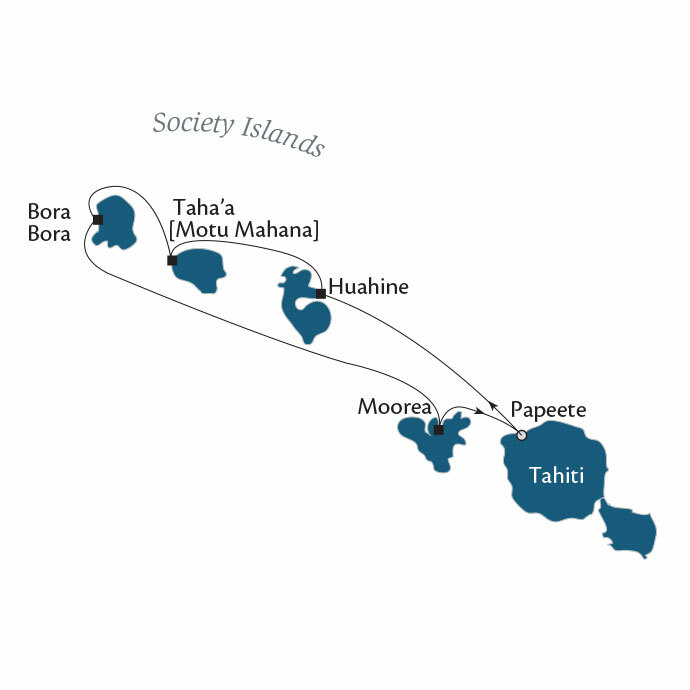 This brand-new itinerary also features Bora Bora, Moorea, Huahine, and our own private paradise off the coast of Taha’a. Air Tahiti Nui was created in 1996 to introduce the Tahitian islands to the world. The first flight from Tahiti was operated in November 1998. Since then, each trip has begun aboard one of their Airbus A340-300 aircraft, linking Tahiti to Paris, Los Angeles, Auckland and Tokyo. The flight into the future will continue aboard the Tahitian Dreamliner (Boeing B787-9). Ready to plan your Tahiti getaway? Request a quote and fill out some information! *All fares are in US dollars, per person, based on double occupancy, and reflect promotional savings, are for new bookings only, and are subject to availability. Port, security, and handling charges of $139-$275 per person are additional. Additional terms and conditions may apply. Call for details. Ship’s registry: Bahamas.